The moments you loved, the moments you wish never happened, and the moments that made 2016 a memorable year in hip-hop. It should come to no one’s surprise that we are ready to say peace out to 2016 and try to forget all the negative news that plagued our Twitter timeline. We lost a legendary fighter- Muhammad Ali, ATCQ member Phife Dawg, intergalactic princess Carrie Fisher, the great actors Gene Wilder and Alan Rickman and two music icons who will forever be missed: David Bowie and Prince. Clinton lost the Presidential position to Trump. And then there’s the emotional roller coaster that Kanye West has been on for months. We just don’t know you anymore Ye, but that TLOP album was fire though. Amidst all the pain and sorrow we endured, there was always a break in the dark clouds. We saw the return of De La Soul and A Tribe Called Quest, Dave Chappelle is still funny, an increase of urban television shows, and the world of fashion finally using hip-hop influences the right way. This is our 2016 in review, we’re looking back at the most memorable hip-hop moments that definitely deserve some respek. The Weeknd ditches his dreads and Yung Joc tried on a new look. Hair. A change that’s too drastic will fuel the internet memes for weeks. R&B singer The Weeknd decided he no longer wanted his trademark dreads, unveiling his new look for the Starboy album. And then rapper Yung Joc was snapped with a new look that only the memes knew how to describe. Teyana Taylor shows off killer body in Kanye’s “Fade” music video. The next day after this video premiered the only thing people wanted to talk about was Teyana’s abs and that weird animal scenario at the end. 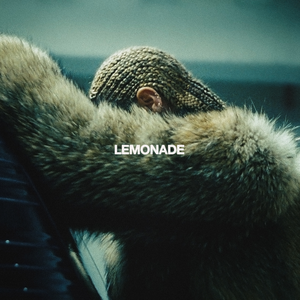 Beyoncé surprises the world with Lemonade album release. Weeks before Queen B released this monster of an album, rumors around the net circled around the hip-hop power couple possibly in the middle of a divorce. The tone and certain themes within Lemonade didn’t help but fuel those rumors even more. Comedian Dave Chappelle returns to T.V. Just a few days after the outcome of the Presidential election, Dave Chappelle was the guest host for Saturday Night Live. All eyes and ears were glued to the television screen as the comedian was able to make light of the situation. Weeks later it was revealed that Chappelle would be back to star in his own Netflix show. A Tribe Called Quest releases final album. Within that same SNL show marked another milestone for hip-hop. Legendary musical group A Tribe Called Quest had released their final album We got it from Here… Thank You 4 Your service and this show was one of their first live performances. Despite the loss of Phife Dawg, the group was able to respectfully honor the late rapper in the album and performance. Marvel has it’s first black superhero with Luke Cage. With a bevy of hip-hop references in this Neftlix superhero series, “Luke Cage” became an instant hit and increased the popularity of urban television shows. Adrian Younge and Ali Shaheed Muhammad composed the series’ score, adding different levels of jazz, hip-hop and 90’s influence. Birdman demands “respek” on his name. The rapper made an appearance on the hip-hop morning radio show “The Breakfast Club” to air out some of his frustrations. What transpired became hip-hop’s newest catch phrase. At this year’s VH1 Hip Hop Honors, Lil’ Kim brought out rapper Rich Homie Quan to help perform “Get Money.” But when you forget iconic lyrics by the late rapper Notorious B.I.G., expect to get a lot of heat from the hip-hop world the next day. Alexander Wang throws house party for #WangF16 Campaign. Fashion designer Alexander Wang is no stranger to enlisting help from his friends in the music industry. For his fall fashion campaign he invited Big Sean, Tyga, Tinashe, Vince Staples, A$AP Ferg, Metro Boomin, and Zoë Kravitz to film a house party visual. Did we miss any? Of course we probably did, there were just too many rap beefs and Kanye news to list this year. What was your favorite hip-hop moment in 2016? Let us know below!